How naïve I am, I was certain once my son’s had left the nest that my life would consist of the man (who I call Daddy (don’t judge) and I being able to just pack up on a whim and go, ugh WRONG. And yes I am referred to as Momma to my kids, dogs, and the man. My little rescue dogs, Daisy and Peanut have put a kibosh on that idea. 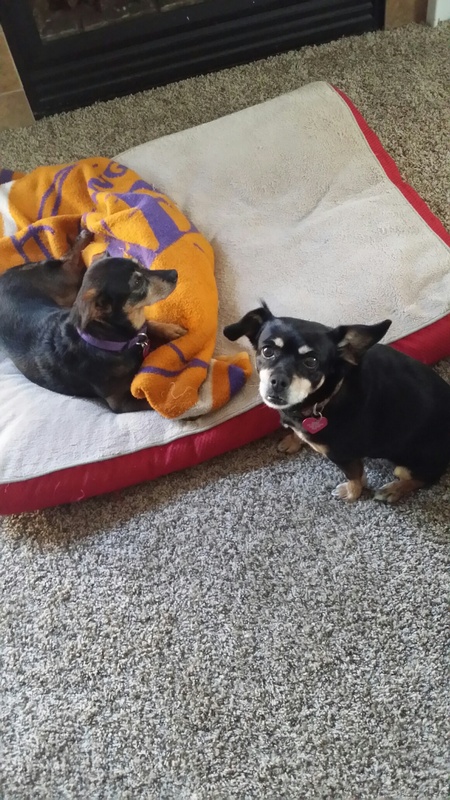 Daisy is a 12 year old dachshund/terrier with a whole lot of energy and no clue that she needs to not rip and run like she’s a puppy or her arthritis will flare up. Peanut is a Pug/Chihuahua who is afraid of her own shadow (someone was mean to her) with a heart murmur and rotten teeth, can you imagine. She is the sweetest little girl but not very bright. We also travel to our youngest son’s college football games every weekend and thank god my oldest lives close or we would have doggy travel companions on every road trip. They love their boy sitter because he lets them sleep with him which is not allowed when we are home. 2. Is it really necessary to post every detail of your life on social media and ask stupid random questions just to get a response? a. Will crime now decrease because we will now have a whole gang of chill, relaxed folks? b. Will fast food and grocery store profits increase because of increased munchies? c. Does anyone really believe that now that weed is legal a whole bunch of people will run out and start smoking? d. Why in the hell did people in Oregon feel the need to gather on a bridge to celebrate? e. Why does the news team covering the story ALWAYS interview the most nonintellectual dude in the group as a representation of all weed smokers? 4. So its a few days before the 4th of July and I have to wonder how people who can’t afford food for their kids can afford to buy thousands of dollars in illegal fireworks. Jimmy has on shoes with holes in them but that mortar you set off sure was great. b. Why is it necessary to set off mortars for 3 days after the 4th of July? Are you truly celebrating freedom? Do you even know what you are celebrating, just asking as my hunch is probably not. c. I wonder if those people who set off the fireworks that sound like bombs have any idea what the impact is for the animals around them. I imagine they don’t care but for me it’s important to consider how scared most animals are (mine included) and do everything I can to not contribute to their trauma. 5. 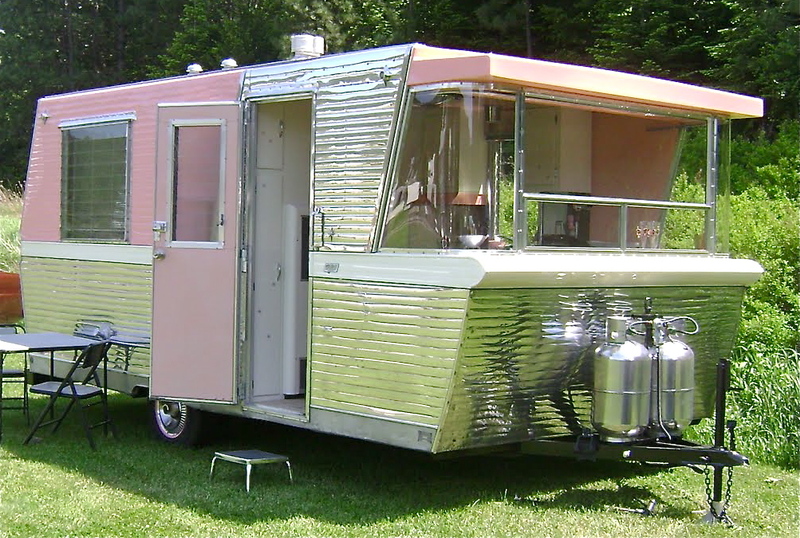 Glamping fun- there is a place right outside of Dayton Oregon that we went to over the 4th this year where you can rent the funnest (I know not a word) vintage trailers that have been completely remodeled. It for sure could give me the I need a trailer bug but then I remember everything that comes along with owning a RV and all the costs for maintenance so if you all ever get the chance go visit The Vintages, so relaxing…. And everyone in a camp ground are always so friendly. This trip we were walking and saw some people from Idaho that our sons used to play with their kids when they were little, what are the chances..